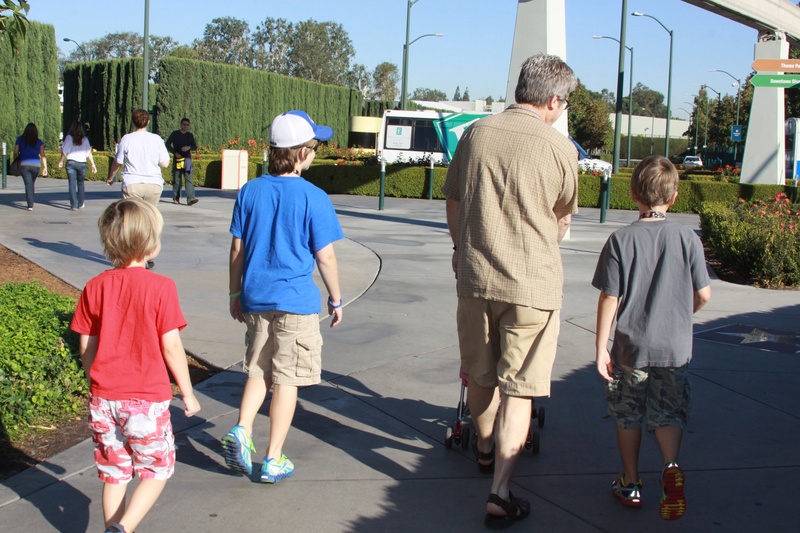 We just spent three days at Disneyland followed by two at LegoLand. 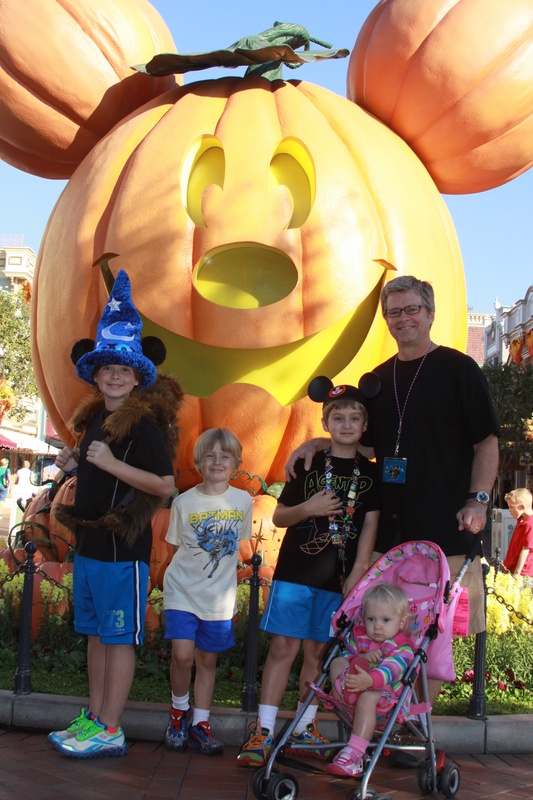 Probably 30 years have passed since the last time I was at Disneyland, but I still have specific memories of rides and time spent their with my parents and family. We have been planning this trip for months and the kids were beside themselves with excitement. I was hoping it would live up to expectations. I didn’t have anything to worry about. Disneyland was spotless (granted, we went in October and not July). Every staff member we encountered…and I mean every one…was cheerful and happy to help however they could. We traded pins, we got lost and asked for directions, we asked for the closest bathroom probably 20 times. Every time we were greeted with eager attention. I was frankly rather amazed. The kids loved it. We rode a ton of rides, and because the lines were short we rode them multiple times. We chased around characters and got their autographs. I took 1400 pictures (well, to my credit that did include the time at the reunion). We were at the happiest place on earth and loving it. We were enjoying each other and our first real vacation like this as a family. Until our feet started to hurt. And we got hungry and couldn’t decide what we wanted to eat. And our brothers annoyed us. 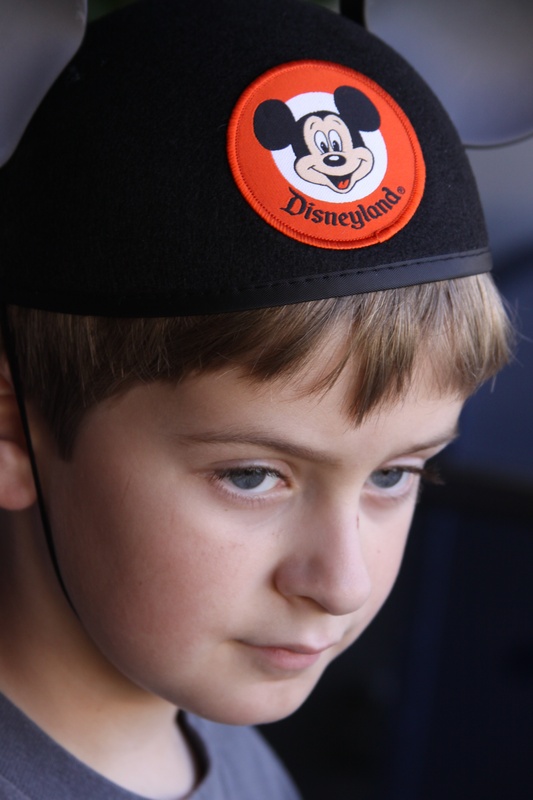 And….we got mad, sad, frustrated, angry, hurt, tired, hungry….all in the happiest place on earth. Even there. Even in the midst of amazing imagination and creativity and people cheerfully ready to meet our every need. Even there we could not be completely happy. Even if our candidate wins the election and all the things we think should happen, happen…we won’t be completely happy. Even if we get the salary we hope for, the number of kids we’ve always imagined, the house we’ve dreamed of…we’ll never be completely happy. The rides and the entertainment, the politicians or the education we hope for, the jobs or the family…they cannot bring us to the place of complete peace and happiness. Our feet still hurt, we get mad, we get hungry even when things are the very best. There is in us an ache and a desire to touch that something that is beyond us…there is a desire to be known and understood and made whole, and nothing we can manufacture will do that. Only the One who has created us is able to answer that ache and that desire, and only in Him can we find that peace. Disneyland is a glorious distraction. It is a moment of complete entertainment and enjoyment…a brief pause in the midst of life. It was not meant to sustain or to cure. There is a place where all will be made whole…a place where tears will be wiped away and sickness done. A place where we will be understood and we will be who we were created to be. That place touches us where we are and we ache to know more. God in our midst, changing everything…preparing us for the place where we will never be disappointed or hurt. True hope. True joy. Truth that can give us strength on the days when the imperfect seems so evident. Truth that is more than a distraction from the present…but a reality greater than we can imagine. Look!!! There’s something extraordinary, right there! It has been 20 years since I attended college. 20 years. Hard to believe I am old enough to be attending the 20th reunion. I had no idea when I was 20 years old that I would return with kids in tow and walk the beach, walk the trails of Westmont, as an adult. I mean, a real adult…with a mortgage and a family. I had no idea that it would still feel so much like familiar ground, and yet seem so far removed. Since I left college I have worked in radio full-time, lived in a commune, gone to Hungary and Amsterdam as a missionary, street preached, moved to a new city and state all by myself, fallen in love, moved to another state and city with someone…moved out of the country (well, a few miles out..to Canada), born children and moved back to make a home in a small town. Right now life is fairly calm and, well, ordinary…but there have been moments of extraordinary mixed in this life. Here’s the thing that struck me as I had the chance to catch snippets of conversation with classmates: there are extraordinary people all around us. I mean, truly extraordinary. Hearing some of the things that classmates have been doing filled me with a great thankfulness to have known these people. People who are adopting children…and changing those children’s life completely. People who have ministered in orphanages and proclaimed the gospel from India to Romania to Israel to Zimbabwe. People who have become great successes in business and have given away more money than I’ll probably ever make. People who have moved their family to other parts of the world to speak of hope and of a God who is real and who cares. People who laugh heartily and share about even very difficult times with joy that they have survived. People who are educators and care about those with whom they are engaged. People who are raising children who will be compassionate thinkers. The only regret I had about the reunion was I did not have enough time to talk with everyone. 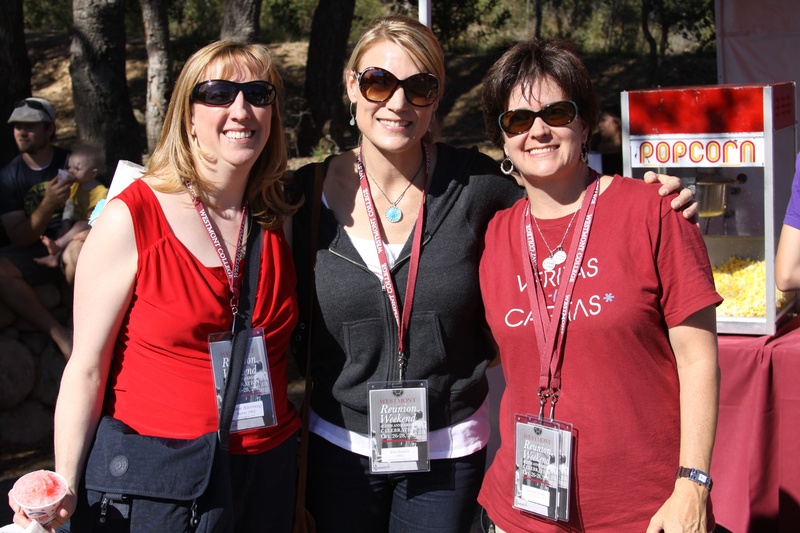 I was thrilled to have my family with me, and thrilled to have the kids see Westmont and see the people…but I would have loved to have had more time to sit relaxed and talk, especially with some of the folks I didn’t know well in the college years. I was incredibly blessed to go to such a place…an idyllic setting and a foundation that has served me very well. The people who congregated at the reunion made that foundation, and I was struck by their stories as I was ready to hear…I was eager to hear. The thing is…there are extraordinary people all around us all the time. Not everyone…because if everyone was extraordinary, well, it would just be ordinary. But they are there…the ones who are walking through tremendous struggle with grace and faith. The ones who are eager to step in and help when there is tragedy. The ones who do not care if they stand out….they simply do amazing things quietly. There are plenty of people who are ordinary…who are eager for controversy or to prove their knowledge and superiority. There are plenty of people who shout about their accomplishments and their talents…and how much better than us they are. There are plenty of people eager to show me my shortcomings and my errors. I can find them all day long. I have to be ready to hear…eager to hear…to hear the extraordinary all around me in the midst of the ordinary. I’m thankful to have been part of class of people who are full of life, full of faith and full of stories that bear testimony to a God who is in our midst. I left the reunion refreshed and encouraged….even if I just got the snippets.